A convert's enthusiasm for his new religion is greater than that of a person who is born in it. Glory lies in the attempt to reach one's goal, and not in reaching it. I hold that democracy cannot be evolved by forcible methods. The spirit of democracy cannot be imposed from without. It has to come from within. I worship God as Truth only. I have not yet found Him, but I am seeking after Him. Man easily capitulates when sin is presented in the garb of virtue. 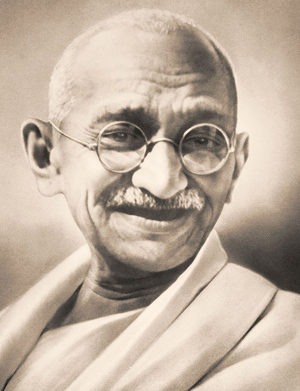 Nonviolence should never be used as a shield for cowardice. It is a weapon for the brave. To befriend the one who regards himself as your enemy is the quintessence of true religion.